If you missed #5 click here. 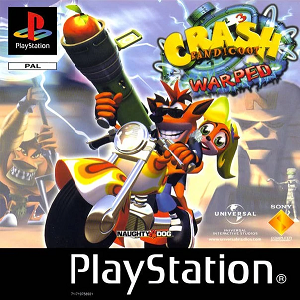 #4 - Crash Bandicoot Warped! Best Moment: So hard to choose, but I love the motorbike levels, the Pura the tiger levels, and I also love it when you perfect your relic time trial and get a platinum! What a game. Simply, for me, this is one of the best, if not THE best, platformer of all time. 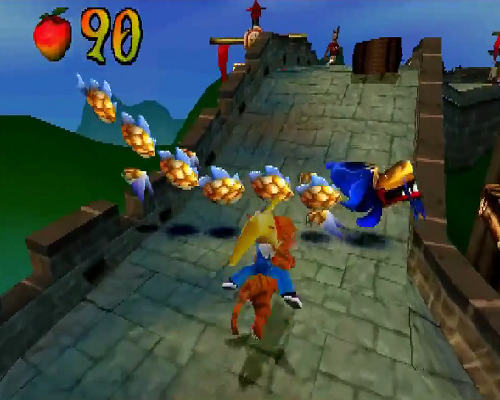 It's certainly the best Crash Bandicoot game ever made. From start to finish, I just thoroughly enjoy this game, and nearly every single level is a smash hit. All the variations of the levels in the game are perfectly placed, and the inclusion to put Coco in the mix was a great move - some of her levels are some of the best levels ever designed, and of course, it helped get some of the female gamers into the game, something that was a little bit more difficult in the late nineties. Adding the time trial mode was also a move of genius. It added another fantastic layer of longevity to the game, and getting the platinum relics on every level is a welcome challenge. Cortex is also on form in this game, and the addition of Uka Uka as a villain to combat Aku Aku was just perfect for the storyline. It's simply one of the best games ever made, regardless of genre, I absolutely adore this game. Looking for #3 in my list? Click here!